We are regulars at this popular restaurant. We like it's rather old fashioned ambience including linen drapery. Service is always efficient and unobtrusive. The menu is wide-ranging and includes old favourites as well as more modern combinations. The food is well presented. McKee's is a good place to bring the whole family, old and young for a convivial meal. Food and service excellent as usual. Noisy on this occasion but that is rare. A great place to dine, I had organised a table for 8 persons for a car club reunion, because of an 80th birthday party in the main restaurant we were given a side room which was perfect for our needs and reflects well on the management and staff. We went for Mother's Day lunch, three generations ranging in age from 70 to 4. The restaurant was very busy but, as ever, the food and the service were beyond excellent. McKee's Brasserie has an extensive menu which changes monthly and never fails to please. 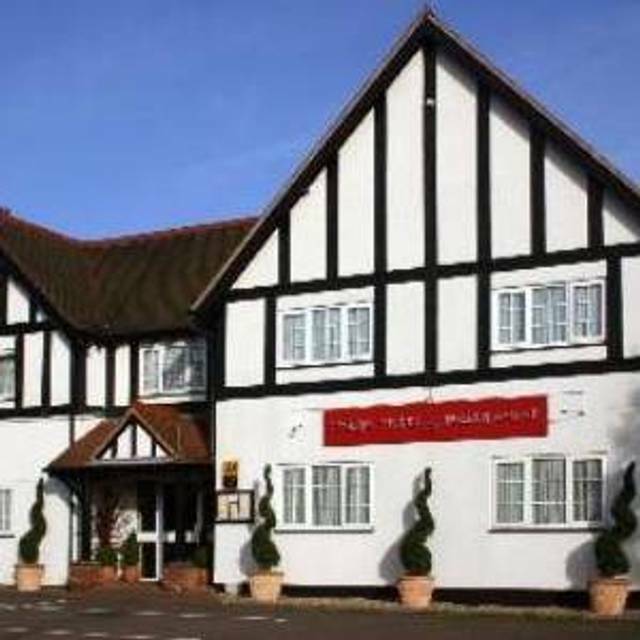 We are very lucky to have this restaurant in Balsall Common and we recommend it without hesitation. Great food in a lovely setting. A dining experience where you can actually talk to each other. A lovely way to spend an afternoon, especially as it was for a special birthday celebration. Been to this restaurant on a couple of occasions and each and every time there’s always a warm welcome. The food and service have always been first class and so far never disappointed by my menu choices. There’s a really nice unhurried atmosphere at this restaurant and the team are always so very friendly. Certainly not my last visit and looking forward to trying one of the many themed events in the near future. There was a good choice of food and the staff were very efficient and very friendly. The food was excellent, couldn't fault any of it. I also love the fact that each month the menu changes. Been here many times before, but my meal was not the usual high standard. The meat , pork and ham I feel had been standing from the first service. Our time was 2.30pm as the earlier sitting was fully booked. Beautiful food and a fantastic evening. The staff were excellent and the food was divine, and very reasonably priced for the quality. Looking forward to visiting again. Excellent valentines meal and great value for money. This would have been a 5 star review except the chicken main course was rather ordinary. The amuse bouche, starters ( trio of seafood and savoury pancake) and the desserts (lemon tart and dessert medley) were all excellent. A lovely lunchtime treat massive value for money. Attention to detail and food quality is highly recommended. Little extras making overall dining experience a real treat. Excellent food and service. Could not fault at all.. Well done McKee Brassiere. Lovely Burns night dinner. The young waiting staff were very friendly and professional. Excellent value for money, whilst still being a classy night out. Brilliant as ever! I love this place....the waiters are attentive, the food is good and excellent value. Have recommended it to lots of people over the years. We regularly eat at McKee's and are never disappointed. Excellent experience, friendly service and terrific food. I’ll eat here again. Would have been nice to have had proper butter (and on the table rather than have to ask for it) and cream (or choice) with the coffee. Went with friends for seasonal meal. Excellent choice of food. Service outstanding. Staff very pleasant. You get a really warm welcome and a good choice of menu. A very relaxed area to enjoy an aperitif and chose your meal. The dining area has a very pleasant ambiance which combined with a final bill that does not break the bank offers a very good dining experience. The only difficulty that can arise is the limited parking although on this visit we able to move our vehicle into a properly designated space within a few minutes of our arrival. Took my 92 yrs old mother and she thoroughly enjoyed the food. Wasn’t noisy but also wasn’t full. Probably could get noisy but staff very happy to move us mid meal if we had a problem. The Mexican themed evening was pleasant and the atmosphere good. This is an amazing place for food and service. Both are first class and I have never had bad food or service. There can not be too many places that are this consistent. Yet another evening with friends where we had a most enjoyable night. Service and food was of a excellent standard. This is a restaurant which hits the spot every time. Lovely food, friendly staff and good value. Great themed evenings. My slow cooked beef was very dry with hardly any gravy.It would have been nicer cut smaller and with lots of gravy.The almond and pear tart was more like a sponge made with almond flour and no sign of any pear.Maybe I was given sponge by mistake. The food is good value at £15 for3 courses but I think a little more attention to palatability would help.I think the kitchen can't manage to cater for large groups all at the same time. We have made several visits now and it never fails to deliver excellent food and good service with a varying menu. Would definitely recommend anyone to give it a try. Service as good as ever. Food okay but I can live without the amuse bouchée of insipid soup that tastes the same no matter what they call it. On this occasion it was apparently spinach and broccoli. Arrived 20 minutes before the table booked time but was asked if we wanted to sit in the lounge or go to the table as it was cleared ready for us. The waiting staff were very friendly and our requests for water/ drinks were brought to us straight away. The food was of high quality, sufficient quantity and nicely presented. We found the cost of the drinks to be average price and overall the bill was very reasonable. The staff are loveky nothing is too muvh trouble. The food is brilliant everytime. It never disappoints. Enjoyed yet another dinner, excellent friendly service and good food. Will visit again. Worth the travelling. Excellent food and service and friendly staff. Good value for money. Can't wait to return.